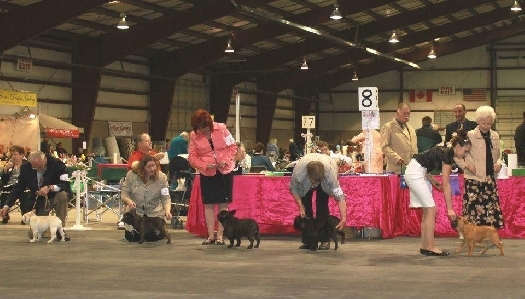 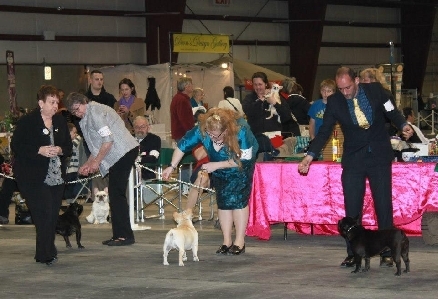 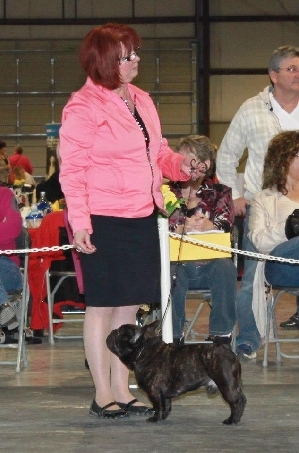 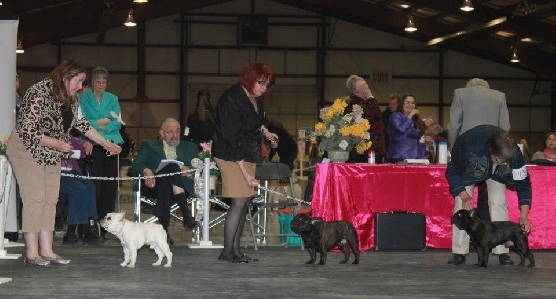 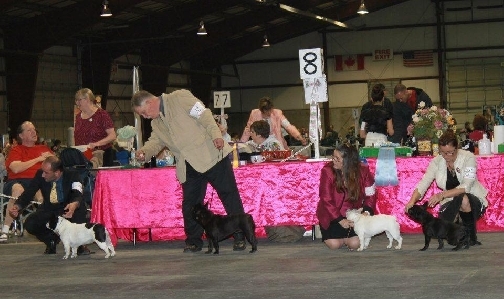 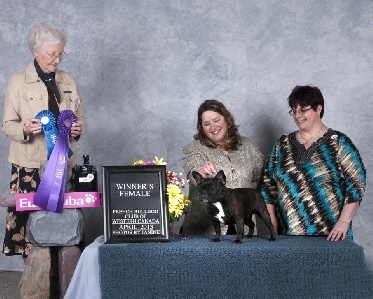 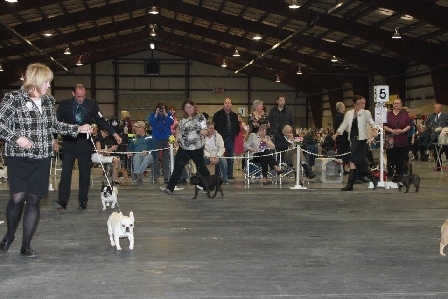 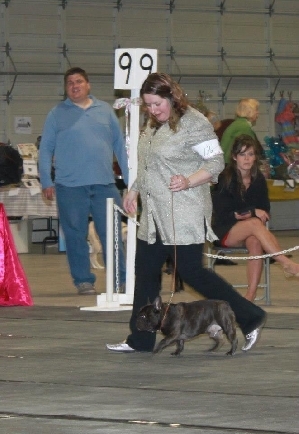 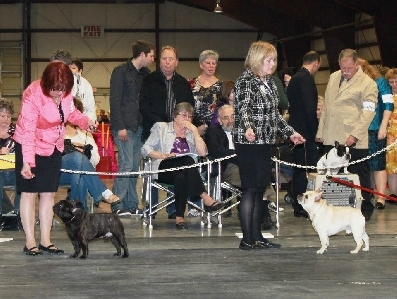 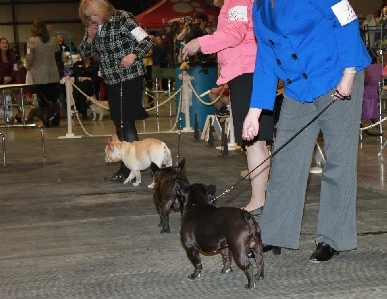 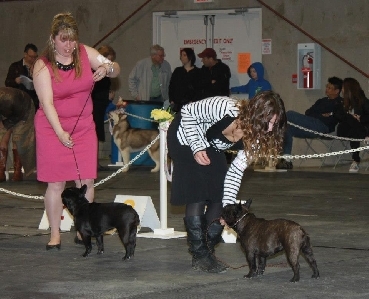 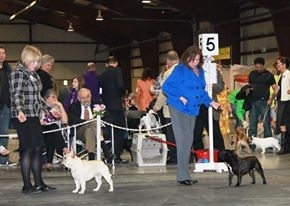 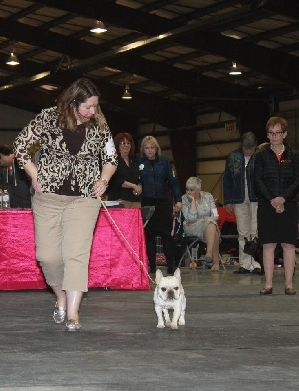 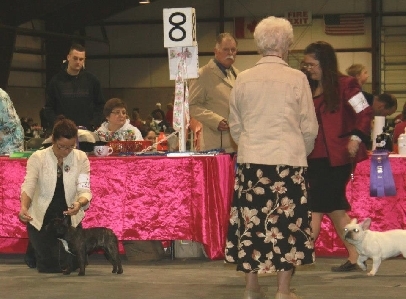 The French Bulldog Club of Western Canada is now recognized by the Canadian Kennel Club. 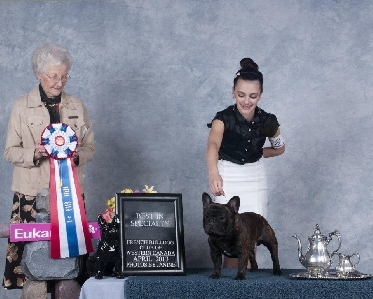 We are dedicated to this wonderful breed and we want to help people who are interested in all aspects of Frenchies: competing in conformation and performance events, breeding, judging and just owning and loving their dogs. 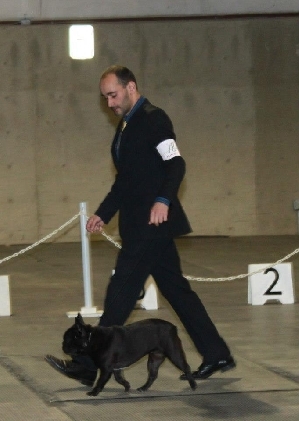 We welcome inquiries from anyone wanting to know more about our adored breed, dog events and/or wanting to become a new member of our growing club. 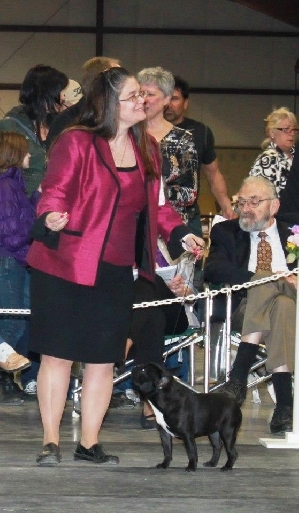 For suggestions or inquiries, please contact any member of the executive. 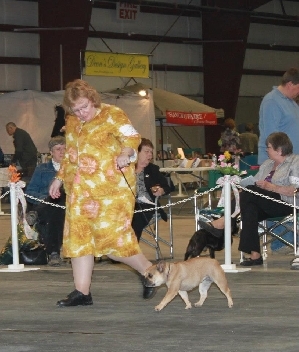 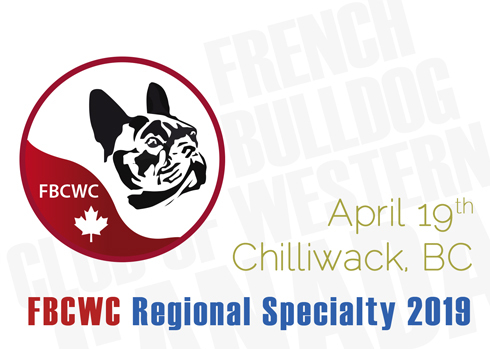 Welcome to Chilliwack for our Regional French Bulldog Specialty. 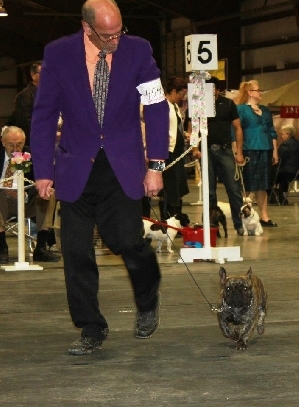 We hope everyone who loves this fun and special breed will enjoy the fellowsip, education and competition of this event. 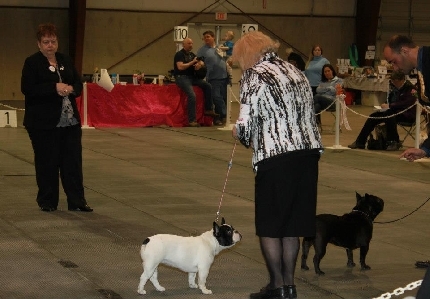 As you look at the French Bulldogs entered here today, please reflect on the efforts of the breeders to produce sound, healthy Frenchies of good conformation and temperament. 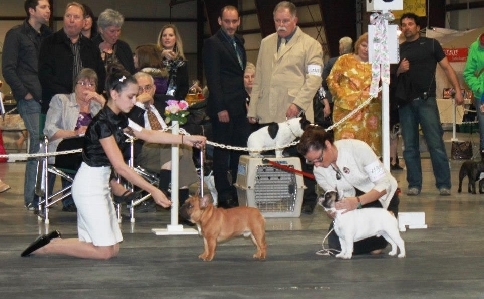 These are the dogs that represent our future in the breed, as well as our past.